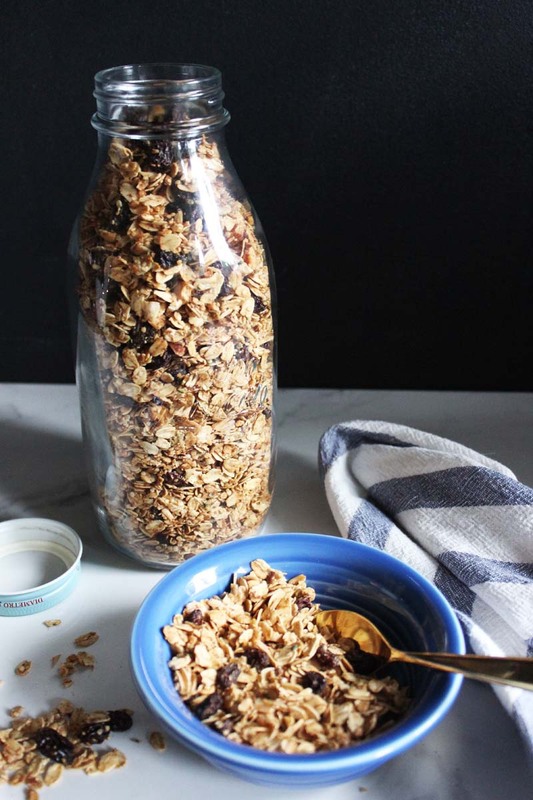 This recipe is adapted from our friend and former contributor, Jeannette Ordas of Everybody Likes Sandwiches' Crunchy Maple Granola recipe which she made for one of her posts here on Poppytalk several years back. 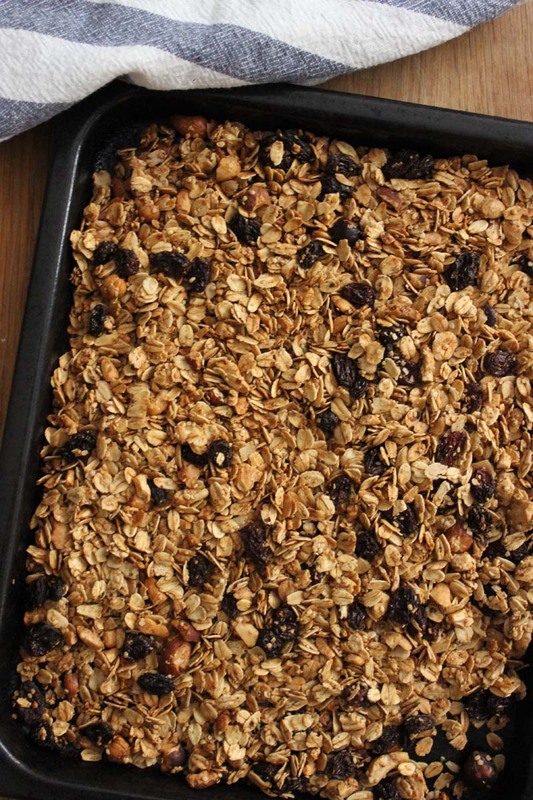 We were craving some granola recently, and rather than pick up something conventional from our local grocers which is usually packed with all processed sugars and preservatives, I remembered Jeannette's recipes and thought I could adapt with some organic gluten free oats and switch things up a bit. 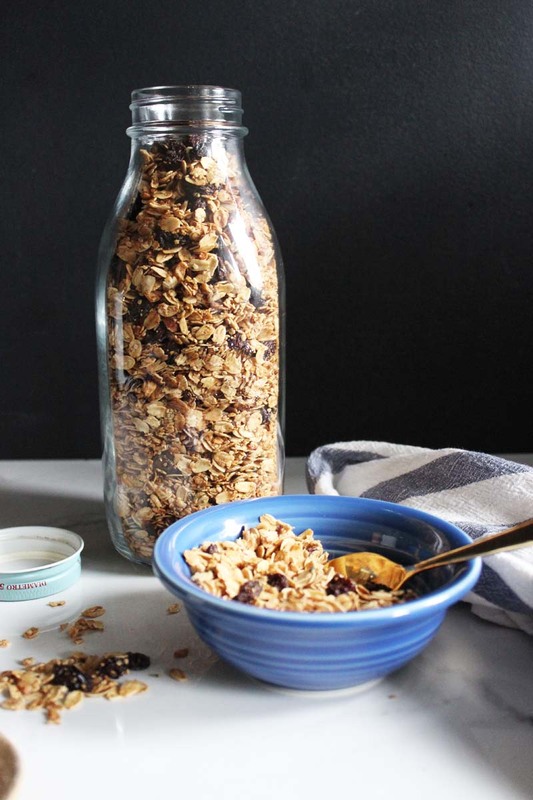 That's what I love about granola, it's a perfect recipe for customizing yourself, and for this one I just switched up for other items I had at home, like hemp seed instead of sesame seeds, coconut sugar instead of brown sugar, etc. The result is a rather delicious addition to a bowl of yogurt, or as a meal or snack on it's own with coconut milk. 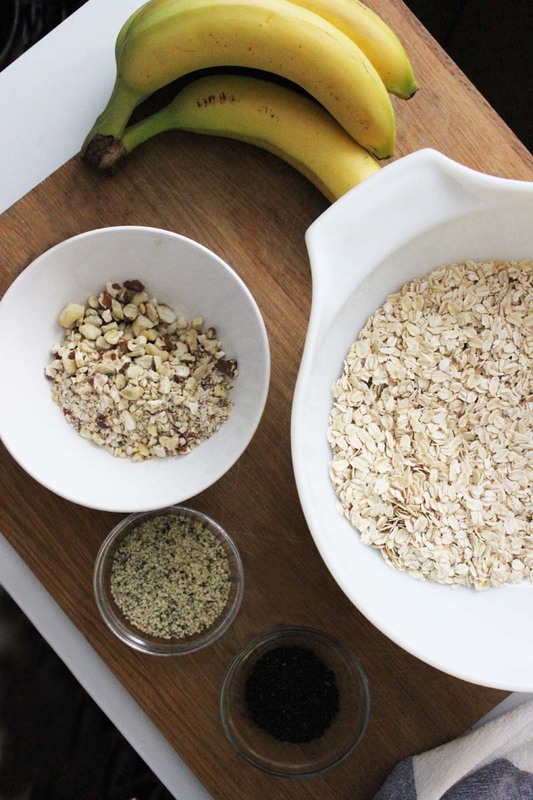 In a large bowl, use your hands to combine the oats, nuts, hemp seeds, spices and salt together. Pour in the oil, coconut sugar, maple syrup and vanilla and toss well until coated. 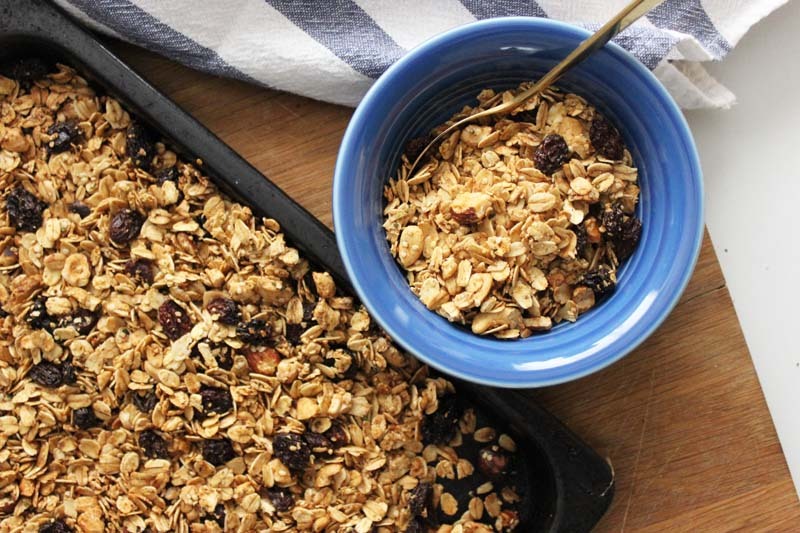 Divide granola between 2 baking sheets lined with parchment paper and bake in oven for 30 minutes, stirring every 10 minutes until golden and dry. Sprinkle on the dried cranberries during the last 10 minutes of baking. 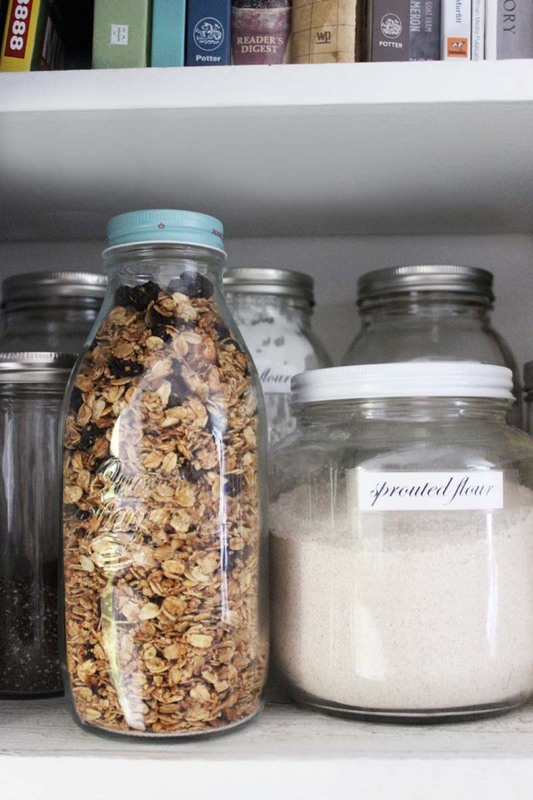 Remove from oven and let cool completely before storing in a tightly lidded container.